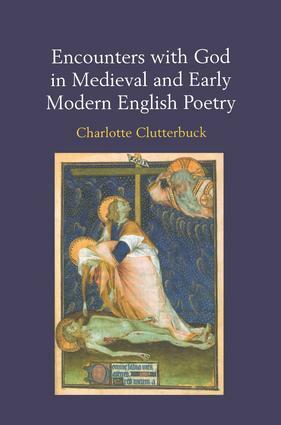 Engaging with four English poems or groups of poems-the anonymous medieval Crucifixion lyrics; William Langland's Piers Plowman, John Donne's Divine Poems, and John Milton's Paradise Lost-this book examines the nature of poetic encounter with God. At the same time, the author makes original contributions to the discussion of critical dilemmas in the study of each poem or group of poems. The main linguistic focus of this book is on the nature of dialogue with God in religious poetry, an area much neglected by grammarians and often overlooked in studies of literary style. It constitutes an important contribution to our understanding of the relationship between literature and theology. Contents: Acknowledgements; List of illustrations; List of abbreviations; Introduction; Speaking across the Gap: The Language of Encounter with the Divine; Redemption and Response in the Anonymous Middle Ages; Finding the Balance in the c-revision of Piers Plowman: Faith-Grace-Mercy versus Hope-Works-Justice; Donne's Seeker and the Anguish of Desire; Alienation from God in Paradise Lost; Conclusion; Bibliography; Index. Charlotte Clutterbuck earned her PhD at the University of Sydney. She teaches English at Abbotsleigh School in Sydney and is an Honorary Associate at Macquarie University. She has also published a book of poems.